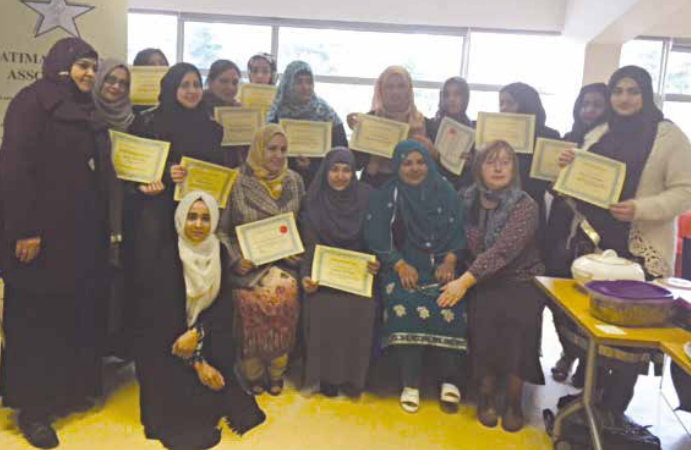 Fatima Women’s Association was established in 1991 by the local Pakistani women who recognised the lack of facilities available to the ethnic minority women in the area of Glodwick. 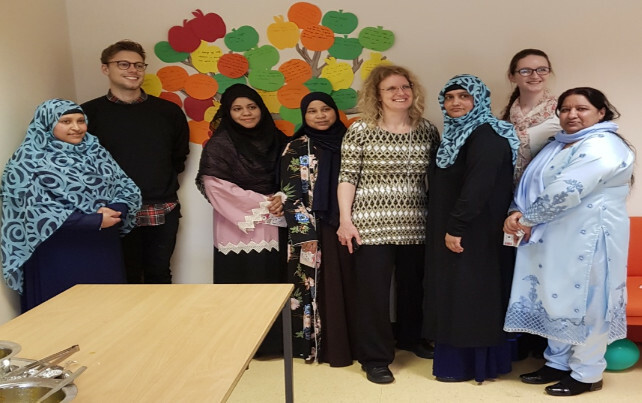 They initially commenced by offering sewing classes from within their own homes until in the latter part of 1991 they were awarded The Main Grant by Oldham MBC to employ a Women’s Development Worker who was based at one of the pre-schools. From the outset of receiving the Council funding in 1993, the Children In Need Fund was approved and a Girl’s Development Worker and two sessional workers were put into post. In 1998 the Single Regeneration Budget Round Three was introduced into Glodwick and in 1999 The European Social Fund applications were approved, which enabled the association to double its workforce and outputs. These posts have been successfully sustained to the present day. The association has a pool of volunteers it can call upon when needed and is always looking for new volunteers to join its team. Initially the project (for a very long time) was accessed by women of Pakistani origin but over the past 7-8 years (due to having access to larger premises) the association has women from the white, Bangladeshi, asylum seekers and refugee community. To empower disadvantaged women, young people and children in Oldham in order to improve their quality of life. To provide and assist in the provision of education, training and recreational activities for women, young people and children in the Borough of Oldham. Our vision is for active and sustainable communities in which everyone is valued and can play their full part within a bigger diverse community. To create better life opportunities to achieve their potential and a place where everyone is proud to belong.